The Wedge Shelf is a knock-down shelf system that requires no hardware and locks with provided wedges. The modular design is configurable to multiple lengths and heights. 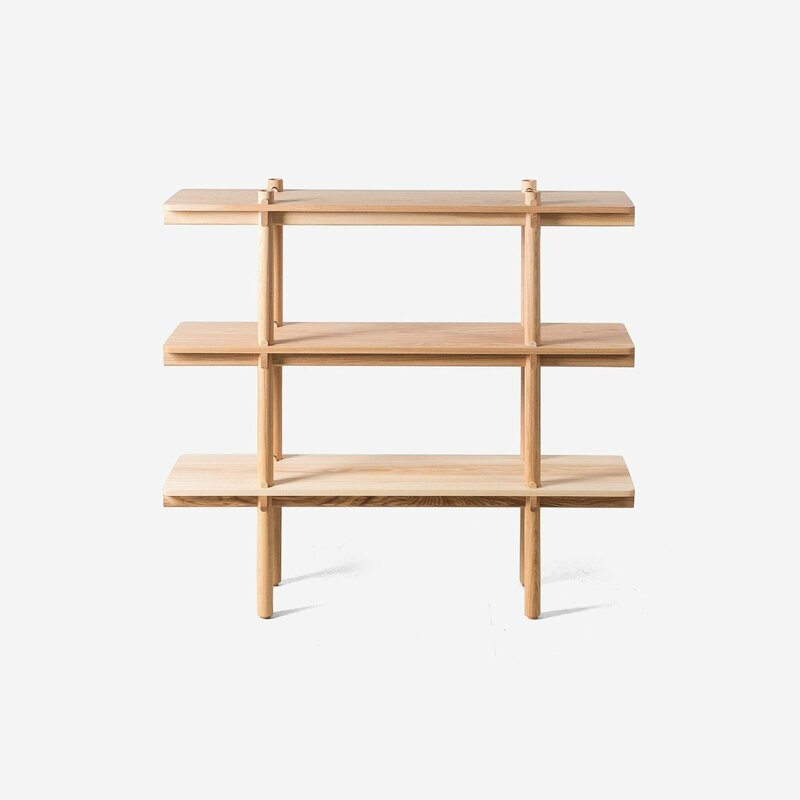 The shelves are produced in solid wood. Please contact us for additional customizable options.